Minimalist WordPress themes are in great demand in the recent times which is only possible to the huge diversity offered by WordPress. Minimalist design of the themes refers to more of a personality or a particular preference of style which is ideal to meet the requirements of individuals looking to create a website of their own with a touch of their own personality. In an addition to this, the minimalist themes offer more amount of flexibility and customisations along with plugins to let the users create the website as per their preferences. Here’s Our list of best Minimalist WordPress themes. Apress is one such minimalist themes which incorporates both the elements of magazine and blog into a classic blend of one theme. The layout of the theme is consistently fresh with an extremely clean base and very good minimal styling. With an advanced slideshow widget, the theme is just ideally suited to meet all the demands of the creators intending to give a personal touch to their website. Finally, the codebase of the theme is developed keeping in mind the SEO elements which is of a great benefit. Savoy is one of the top minimalist AJAX WooCommerce theme especially created on the basis of a stunning online store. With the modern minimalist design of the theme it helps in putting the products on focus and the pre – built AJAX functionality gives the customers a smooth user experience from any devices whether it be a mobile, desktop or a laptop. Also, the theme is powered by WooCommerce which is one of the very popular eCommerce platforms on the web. The theme is multipurpose in nature which allows the use it for other purpose as well. Jevelin is one of the most colourful and attractive minimalist WordPress themes that is in great demand in the market. It is completely responsive and a premium multipurpose WordPress theme which is ideal for the purpose of building any great websites. With the professional portfolio websites to the landing pages or the tech start-ups, Jevelin makes sure that a perfect website is developed. The minimalistic design and endless option for customisation allows the users add a personal touch to the website so created. Minera is one of the best selling minimalist WooCommerce WordPress themes which helps you to launch your online store with a superb website in a very powerful eCommerce platform. The theme is clean and elegant in its design with a number of options for customisation allowing the users to create as many variations as they want to. The theme is extremely flexible in nature and has a highly intuitive user interface. 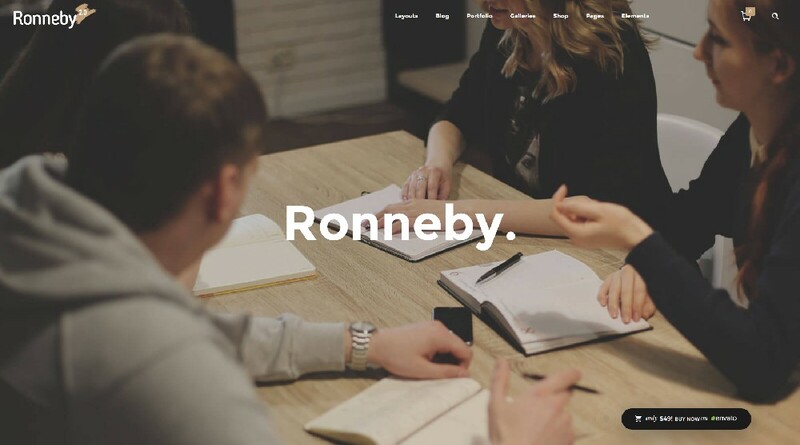 Ronneby is one of such minimalist WordPress themes that is bound to give you a high performance showing you the brand – new side of web development. The theme is high resolution and is widget ready which is highly beneficial for the users while the development of the website. The creators of the theme have provided a fantastic customer support which resolves all the queries at any point of time since the support team is available 24*7. You need not require any previous tech skills for building a website with Ronneby. Total is a WordPress theme which is designed for the creation of a completely fresh and new experience of website building. With the help of this minimalist WordPress theme, the development of the website is simple, easy and quick at the same time along with a personal touch as well. The theme allows you to create a modern and stunning look of the website in a one page format. Total has an integrated options panel which allows the users to customise at the theme areas. Flatsome is another of the very popular minimalist WordPress themes which is dedicated to practicality. The creators of the theme have kept is simple, clean and modern. There are pre built icons and shortcodes which are of great help to the ones building their own website. The theme also has three premium sliders for arranging of photos in one single space. The theme is completely responsive and is compatible with all the major browsers. Stockholm is genuinely a multi concept minimalist theme which gives the users a fantastic experience while they are building their own website. The theme comes loaded with three new branded and completely equipped demos which can be easily imported with just one click. The updates to the theme is free for lifetime. With the help of the theme, you can do everything in an easy way due the presence of drag and drop page builder. Focuson is a dedicated minimalist theme for business purpose but with its enormous flexibility, the theme can match the requirements of building of any websites. The enormous demand for the theme very well proves that Focuson is one of the most popular minimalist WordPress themes in the recent times. The theme is loaded with features like virtual composer, revolution slider, WMPL plugin and a WooCommerce platform making sure that the users do not have any problem while the creation of the website. Engage is an extremely stylish minimalist WordPress theme that provides the users with the platform for the speedy and easy building up of the website. The theme is readily responsive and a very creative theme which allows the users to express their creativity while creating the website. For the enhancing of the functionality of the website that you develop, there is a premium built in visual composer and a drag and drop page builder. With the unique sleek visual philosophy, Engage readily makes your website quite impressive along with giving it a touch of professionalism. Newspaper is one of most elegant minimalist WordPress themes which is highly preferred by the individuals who want to give a touch of their personality. The theme is quite elegant and completely responsive. All of the essential elements have been incorporated in the theme by the creators to make sure that each of the users of the theme is completely satisfied without a single chance to complain. Moreover, the dedicated customer support efficiently handles all queries of the customers. Typology is one of the specialised text based minimalist WordPress themes that the developers of the theme has essentially created for writing purposes. The theme is just ideal for the ones who prefer to make use of text instead of images. Moreover, the theme is a one page design with only a single click demo install which makes it very easy for the users. Typology is a highly customisable theme which is extremely fast loading which is an added benefit. Gillion is a multi – concept minimal theme which is great for developing websites based on your personal preference. The theme is highly preferable for blogs, magazines and shops. Gillion is extremely versatile in nature which makes it possible for being used for so many purposes. The theme is loaded with more than about 15 demos and over 50 templates which makes it really very easy for use. Writepress is a clean and minimal WordPress theme especially designed for personal blogs to meet all their personal blogging needs. The theme comes with a very powerful panel for the admin along with visual composer and drag and drop page builder bundled with the theme. In an addition to this, the theme has some specific blog designs such as grid, masonry, medium, large and small are to name a few of them. Stack is an extremely flexible and modular minimalist WordPress theme that is typically designed by the creators keeping in mind the need of the individuals. The theme includes almost everything that will enable the users to create their own unique website within a very short duration of time. With the variant page builder and a visual composer make the theme widely usable in a number of different fields. All the future updates of the theme are free and can be installed very easily by the uses. 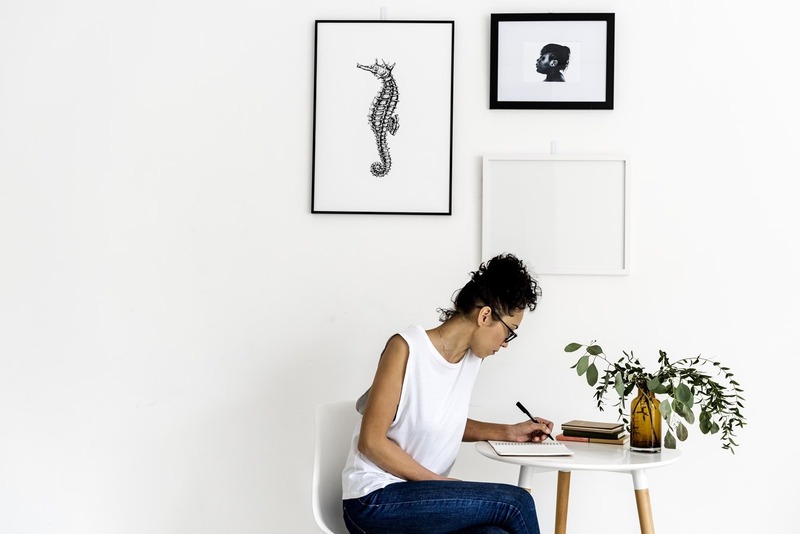 If you are in search of a minimalist WordPress theme that can highlight your portfolio or blog, then it is recommended that you should go with Kalium. The theme includes a professional content builder plugin allowing the users to customise their web page as they like to. Kalium has a multilingual plugin support and is compatible with almost all of the major browsers so you need not worry at all. Composer is an extremely light and fresh theme which will certainly make your website very stunning. The clean design of the theme makes it uncluttered, crisp and fast loading. The theme can be very easily customised according to the needs of the users which is of a great benefit. The theme is systematically minimalist and a perfectly polished one to make it a multipurpose theme. The creators of the theme have given a unique combination of a technical proficiency with an efficient codebase making is a top performing theme. If you are looking for any top quality and high performing minimalist WordPress themes, then Encode would be the ideal choice in this regard. The theme includes all the essential components that are required for the building of a website along with a lot of added security feature incorporated in it. The theme gives your website an amazing speed which you could not have even imagined. Massive Dynamic is a minimal and modern theme which is extremely easy to use since the interface is user friendly in nature. Massive Dynamic is aesthetic and appealing which gives a great advantage to the users. The theme is crafted with some of the potential premium plugins that include WooCommerce, Visual Composer, Revolution and Master Slider are to name a few of them. Also, there is the live website builder that allows the users to edit the layouts, settings, shortcodes and a lot of others in the real time. Aurum is one of the most downloaded minimalist WordPress themes that is especially designed as a shopping theme. This theme is bound to give your shoppers a fantastic shopping experience irrespective of the items or products you deal in. The theme has multiple variants which can be selected for the creation of your own skin as you like. Aurum has a high resolution and it widget ready making it more comfortable for the users. Thus, after going through the list of the top minimalist WordPress themes, it would be easier for your to select the most appropriate theme for your use without any kinds of difficulties at all.